What a week! I feel like a lot happened in the last seven days but in a good way. A huge highlight was a Friendsgiving dinner in the city on Thursday. Phoebe, Serena, Anna, and Amie hosted an amazing group of women bloggers at Maman (such a beautiful space!). The group largely consisted of healthy food bloggers with special diets so I made my Vegan Apple Cake along with this vegan caramel sauce. It was so much fun and inspiring to be among a group of talented ladies (think Andie who I’ve been dying to meet forever). 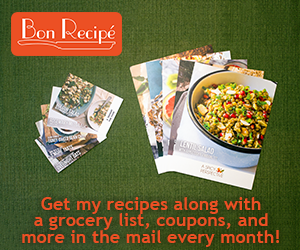 I have a couple more recipes coming to you before Thanksgiving and then a special gift guide (with a giveaway!) coming on Friday. Meanwhile, if you are looking for Thanksgiving baking inspiration, consider this gorgeous Roasted Butternut Squash Pie, my Pumpkin Cake with Pecan Pie Glaze, or this Pumpkin Cinnamon Roll Cheesecake. And before I finish, I just want to give a big thank you to all of you who visit, read, comment and get in touch with me on social media. This blog is something I truly love and it wouldn’t be the same without the wonderful community of readers. It’s been a special space for me over the last five and a half years. And even over the last year, while L has been my top priority, I’ve found this space even more valuable in helping me maintain my own sense of identity and purpose. So thank you so much! Wishing you and your families a lovely Thanksgiving. Thanks, Zainab! One day maybe we could get our boys together for a play date!